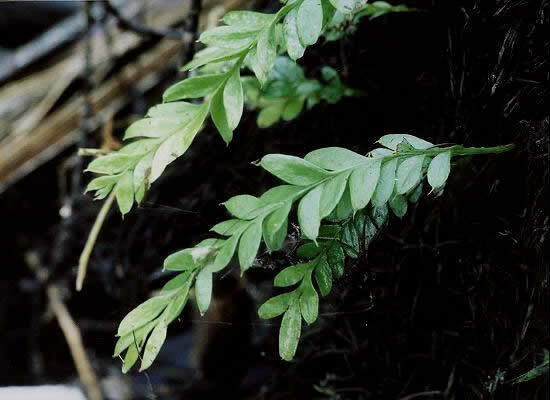 Species: Tmesipteris lanceolata P. A. Dang. 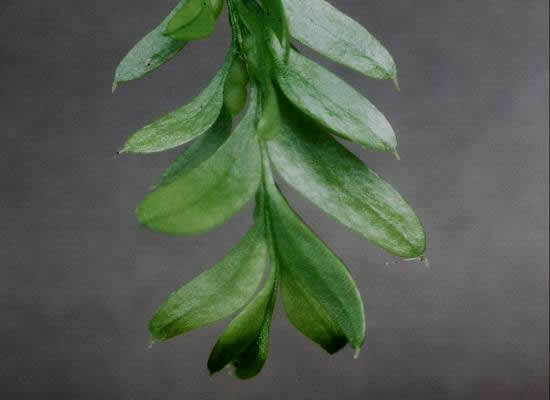 Leaves are generally in the same plane and sporangia have rounded ends. Found: Coastal and Lowland forest.